The engine is an “In-line 6” using a “Bosch or Nippon Denso” mechanical inline injection pump, 8.3 liters or 504 cu inches (1.38 liters per cylinder), 4.49” Bore x 5.32” Stroke (114mm x 135MM), 1-piece head, 2 valves per cylinder, Mid-stop wet liners for a very easy rebuild, and generally a very simple design with robust construction throughout that has allowed the engine to be used in many demanding industrial markets besides marine. Since the time of its first release, the base engine has withstood the test of time so well, that it is still being made in many countries around the word and is the highest produced engine ever built in its size range. 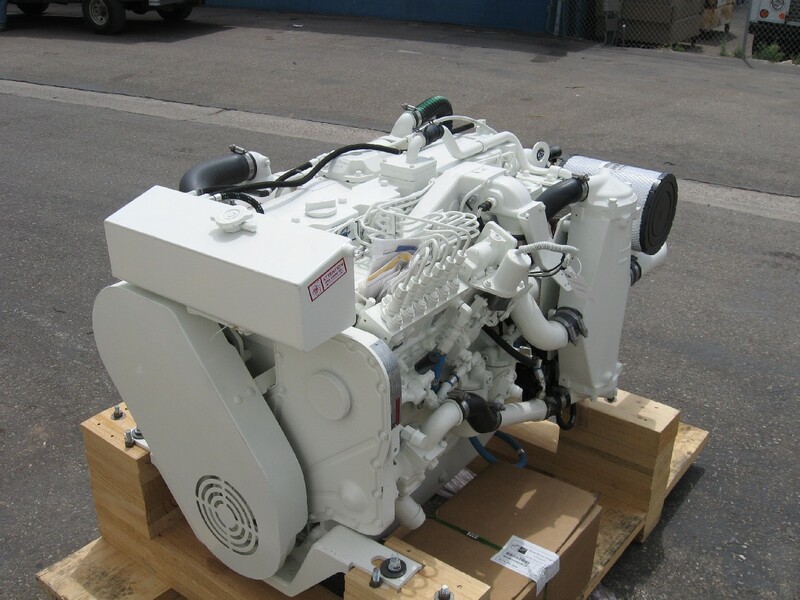 In fact, the latest QSC 8.3 600 that meets EPA Tier 3 marine requirements shares the same base design although it does have many refinements & upgrades to meet the current requirements the engine needs. 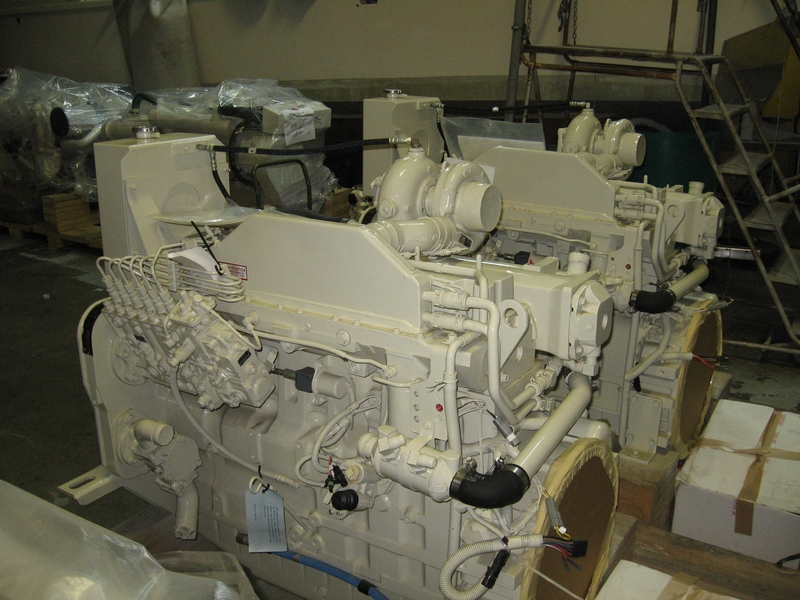 The base internals are very tough which has allowed the Marine division to develop multiple & reliable higher HP ratings just as the various markets demanded it. As with all diesels, this is done by adding more fuel & air to get increased HP, tweaking RPM settings and fueling maps within the governor, and adding more cooling capacity to the engine to maintain the proper thermal temperatures of combustion/exhaust, oil, coolant, and the air intake . This is a good place here to note that the even latest highest HP per liter versions on the 8.3 have never had to employ dangerous salt water cooling of the oil like many of the competitors have done.. Just one more example of the robustness of the engines design by not having to remove needed heat from the oil to maintain thermal stability. Earlier C’s were called 350 & 400’s and were “M-2’s” that used the ND EP9 fuel injection pumps. Later in the production, Cummins performed some upgrades to the engine and pumped it up to 420 HP and maybe even 430HP, but in my mind, it was still the same engine, just a few more ponies. 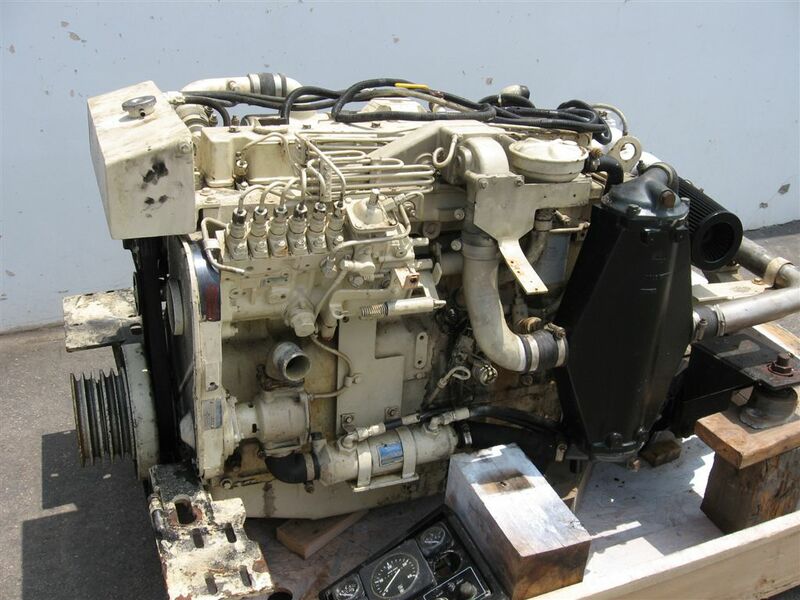 Somewhere around 1997, Cummins released the “M-3” version using the Bosch P7100 fuel system with many other small refinements. That engine is now known as the “450 Diamond” Along the way they released the M-4 (known as the 480CE quasi-electronic) and the 300C and 255C (early / lower power commercial versions). **Notice that “double asterisk” on the RPM I listed for the recreational engines. The is the Factory minimum rated RPM that the engines had to reach on a dyno under perfect conditions to meet all the various “engine specs” related to the air, oil, coolant flow rates, internal temperatures, heat rejection criteria, and emission specs, while making RATED POWER. Always add 125-150 RPM to that number (recreational engines) when propping your boat which then allows the engine to spin up freely while getting over that “hump” and still make full rated power with less danger of over-loading your engine, especially at lower than rated RPM. The biggest single mistake you can make regarding propping is giving the minimum rated RPM to your prop guy because then you can be close to 100% sure you will be overloaded when you start using your boat. The only caveat here is the 480CE—This engine will top out at 2670-2690 RPM, so that is all you’ll see on your tachometer, but still add that 125-150 RPM when talking to your prop guy. He’s a “paper to prop guy” and typically has no clue as to what happens on the real ocean. All are super engines and are easy to keep alive for decades, but of course depends on their own history of service and past use. 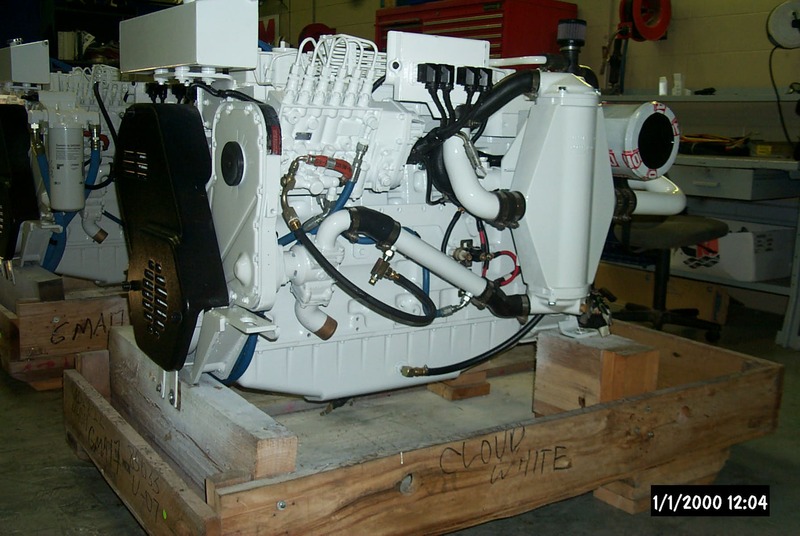 The high maintenance part in all of them is the seawater side, especially the seawater cooled aftercooler and seawater pump. As to the long term cost of ownership of this engine compared to it competitors? As you have to do is look at the cost of a cylinder kit for a Volvo, Yanmar, CAT of Iveco in this size range.. The answer in right there in your wallet when you compare.